I just wanted to give your latest development a shot. This issue was the first I ran into when I was about to do some manual normalizing. I even used autonormals but the issue still persist. I don't have time to look at the source code at the moment, though I'm glad to see continuing development. BTW, long time no see. Hmmm... 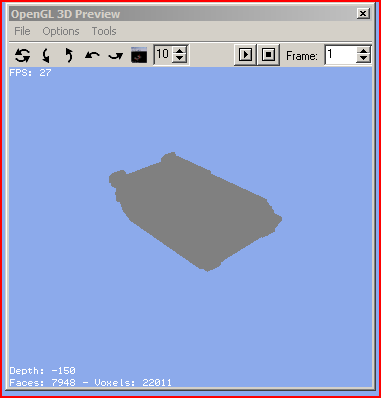 I guess I've really messed up the material lighting settings in OpenGL. I'll take a look at it soon. Isnt 1.39.490 the newest and not 1.39.105 ? The newest is 1.39.105, which is the build 490 and revision 298.
hmmm, thats the one I use. 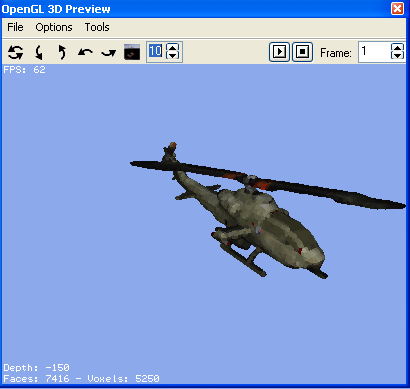 But there dosent seem to be a problem with the OpenGL 3D preview on my end. 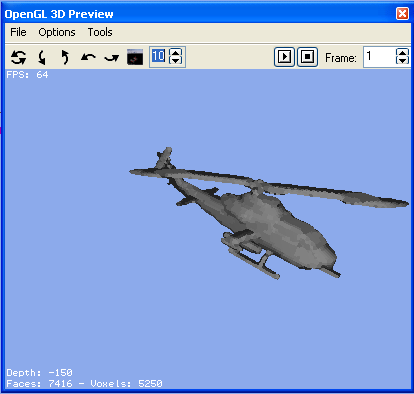 Only problem I've come across was the texturing tool not displaying the whole unit. I've got several lessons about shaders in my university recently and these lessons helped me to figure out what was wrong with VXLSE III's shaders. In the version 1.39.106, if you update the shaders (by deleting the existing ones in the shaders directory with the program closed and letting the program redownload them once it runs), you'll notice that rending the scene enabling shaders will give you the same result than disabling them and that the bug reported by Roaches will no longer happen .